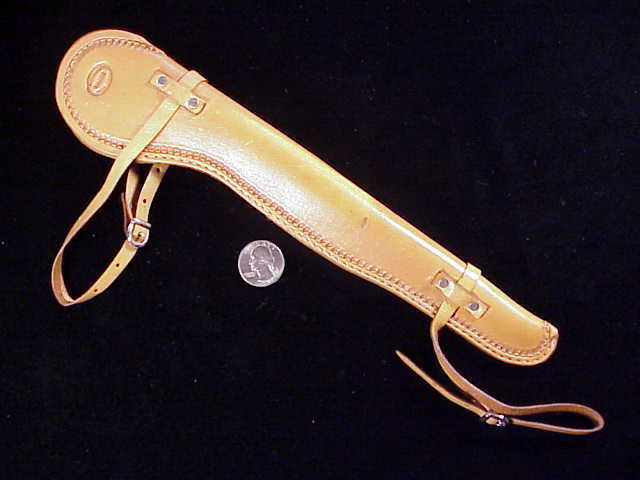 This is a 1/3 scale rifle saddle scabbard made by master leathersmith Casey Jordan of Phoenix, Arizona. 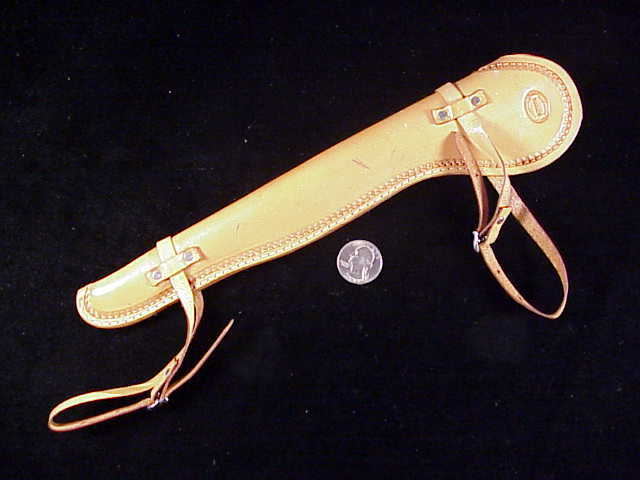 11 3/8″ long overall, the scabbard is made of buff/brown leather and is not lined. High quality stitching, the edges tooled in a shell pattern. 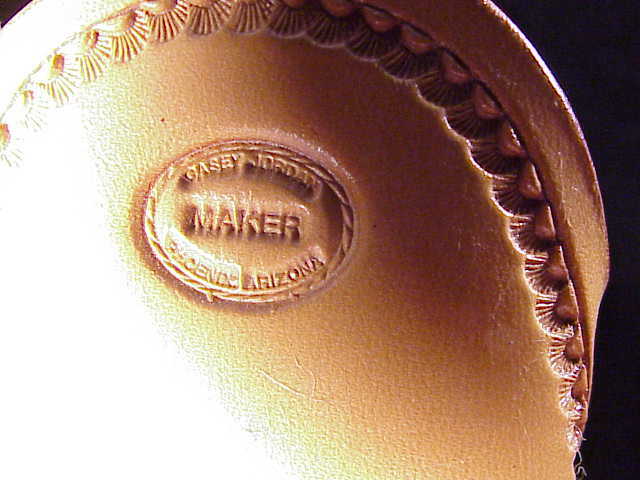 Each side is stamped with Casey’s maker’s mark stamp. 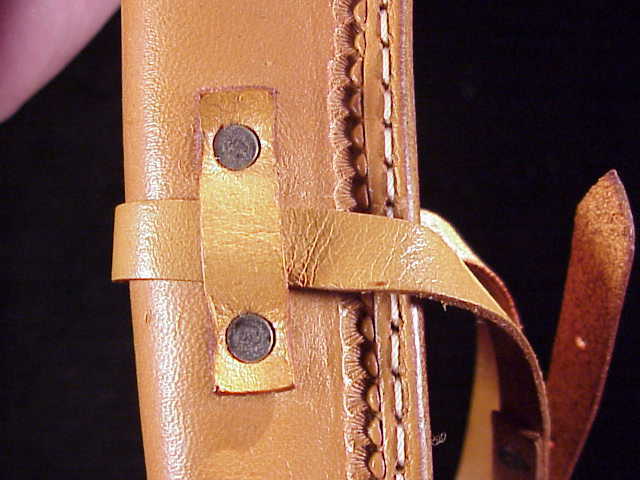 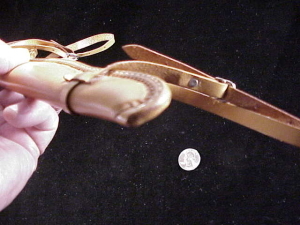 Includes the attaching straps with nickel silver buckles. This is perfect for your Miniart 1/3 scale Winchester Model 1894 rifle or carbine, and would be suitable for most 1/3 scale rifles. 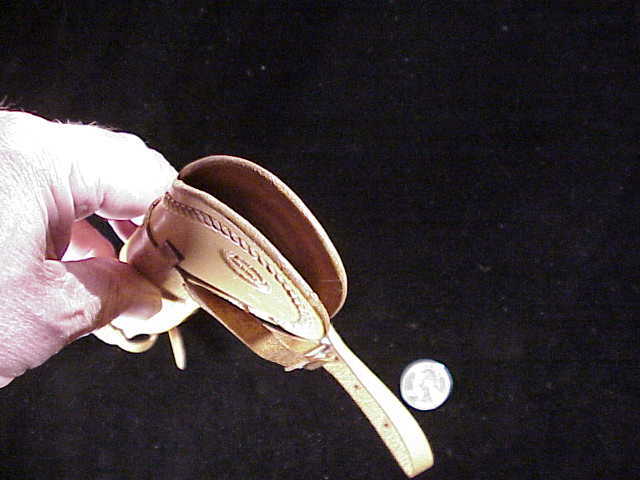 Excellent condition, but does show a few handling marks. 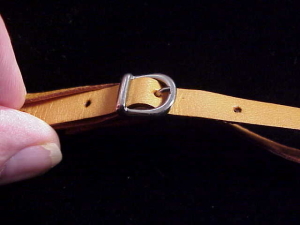 Price: $150.00.